Want to start learning about charts the easy way? 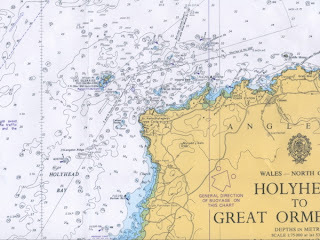 Chart 5011, Symbols and Abbreviations used on Admiralty Charts is the booklet containing the key to the symbols you'll find on nautical charts. It shows international symbols for buoys, not only on UK charts but around the world. If you're interested in sea kayaking and have never used a chart, I recommend you buy a chart of the area you visit or intend to visit most often, (your "local" one) and then a detailed chart of an area that excites your interest; maybe some part of the Aleutian Islands, or the Bahamas, perhaps Wales or New Zealand, if that's not your local area. This is your "dream" chart. 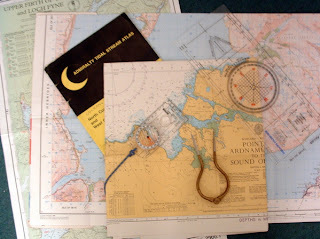 Add a copy of Chart 5011, and a set of local tide tables. Start with the your local chart and use Chart 5011 to help you identify the symbols on it. Some of the features won't seem very useful to you, like maybe the nature of the sea bed some 150 feet beneath you, so note the ones that you're likely to be able to see such as prominent land features, rocks that are exposed at low tide, buoys and lights. Once you've learned more about what the symbols mean, use your "dream" chart to plan sample day trips, and note where the areas of potential danger are, such as tide races, kelp beds, steep cliffs and rocks that cover at high tide. There's nothing really complex about charts. A little curiosity and you'll soon uncover all they can tell you!